Heavy equipment machines, such as backhoes and bulldozers, prepare most construction sites prior to actual building. They remove debris, including boulders,trees, shrubs and grass and level the land to accommodate the size and shape of the building. Backhoes are perfect for this work because the digger can unearth debris and dirt while the front loader can remove it and help level the land. A savvy entrepreneur can build an entire company around this one machine. Find funding for your backhoe business. The start-up cost for a backhoe business can be expensive, especially if you plan to purchase backhoes rather than lease them. John Deere and Caterpillar are just two of several manufacturers that sell backhoes, but even their most basic models cost more than $50,000. You’ll need to obtain funding through loans or private donors to get your business started. Lease or purchase backhoes. 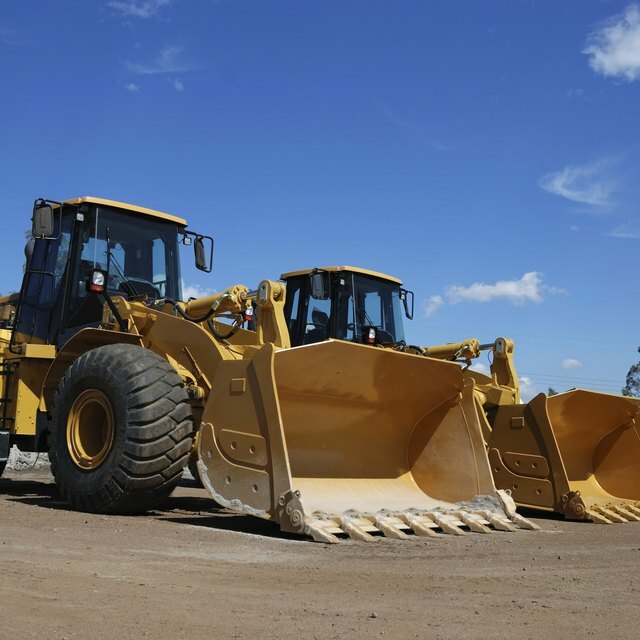 You need to determine whether leasing or purchasing backhoes is right for your business. Leasing ensures that you are up to date with the latest equipment and tools in the field. However, by purchasing equipment, you can continue to use it even after you have paid it off. Obtain insurance to cover backhoes and your business. Although you don’t need vehicle liability insurance because you won’t be driving the equipment on the road, you do need property insurance to cover the equipment in case it is damaged as a result of a natural disaster. You also need to purchase general liability insurance for your business to cover you in the event someone is injured on a site where your backhoes are working, or if they accidentally damage someone's property..
Register your backhoe business with the IRS and your state department of revenue. In addition, check with the professional licensing division in your city, county or state to determine what other licensing and registration laws and regulations apply to you. Purchase, lease or contract hauling equipment. Once you complete work at a specific location, you need to move your backhoes using semis with flatbed trailers. This type of equipment can be leased or purchased, or you can choose to contract with a hauling company to move the equipment for you. Remember, though, that if you own or lease, you need to have someone with a commercial driver’s license to drive the semis. Determine your pricing for services. By determining the approximate amount of money you need each month to cover your expenses, plus a reasonable profit, you can then determine how much you need to charge per job. Promote your backhoe business. Most consumers don’t need backhoe services, so general advertising and marketing won’t be effective for your backhoe business. Instead, focus on networking with general construction contractors and other companies that have a need for backhoes.